Dixon, John S. NEW ITEM! 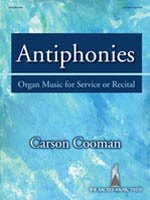 Contents: Chorale Prelude on To God Alone on High Be GLory; Communion Meditation; Fanfare of Duke Street; Darwall's Fantasia (Praeludium, Aria, Intermezzo, Toccata); Postlude on Lobe den Herren; Postlude on Austrian Hymn; Trio on Kremser; Hornpipe in G; Voluntary on St. Clement; The Chardon Jig; Grand Sortie; Recessional in C.
Tunes include: Eventide; Dundee; Moscow; Slane; Unser Herrscher; St. Bees; St. Thomas; In Babilone; Jacob's Ladder; Kum Ba Yah; Picardy; Aberystwyth; Festal Song; Winchester New; Wondrous Love; Song 46. Contents: Grace; Hail to the Brightness of Zion's Glad Morning; I Want Jesus to Walk with Me; Lead, Kindly Light; Meditation Suite; Once to Every Man and Nation; Sweet Hour of Prayer; Were You There? ; Something for Thee. Schreiber, Lawrence P. NEW ITEM! 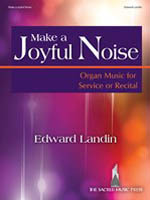 Contents: Fantasy on St. Anne; Hommage a Jean Langlais; Pentecost Music (Veni Creator; Grafenburg); Prelude on Repton; Chorale Prelude on Ich halte treulich still; Fantasy on African-American Themes (Swing Low; Joshua Fir the Battle; My Lord What a Morning; Elijah Rock; Balm in Gilead); Shenandoah. Sanders, Bernard Wayne NEW ITEM! 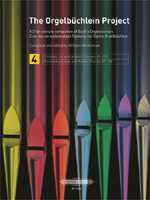 Contents: Dialogue; Clausula; Cantilena; Scherzo; Recitative; Fugue; Epilogue. Contents: Joy to the World; Once in Royal David's City; O Come Rejoicing; Thou Didst Leave Thy Throne; In the Bleak Midwinter; Away in a Manger; On Christmas Night; Silent Night, Holy Night. Contents: Abide with Me; All Through the Night; Come, Ye Thankful People, Come; For All the Saints; For the Gift of God the Spirit; Guide Me, O Thou Great Jehovah; Holy, Holy, Holy, Lord God Almighty; I Heard the Voice of Jesus Say; Jesus, Lover of My Soul; Lo, He Comes with Clouds Descending; Love Divine, All Loves Excelling; O Worship the King; Ye Holy Angels Bright; Praise, My Soul, the King of Heaven. Krug, Jason W. NEW ITEM! Contents: Away in a Manger; Christmas Celebration; He Is Born; Good Christian Friends, Rejoice; Hark! the Herald Angels Sing; Joy to the World; O Come, All Ye Faithful; Silent Night; O Come, O Come, Emmanuel; Of Shepherds and Angels; People, Look East; What Child Is This; Sing We Now of Christmas. Greene, J. William NEW ITEM! Contents: Fling Wide the Door; Expecto Adventum; Prelude the Royal Highway; The Advent of Our God; The Angel Gabriel; Wake, Awake, for Night Is Flying; Savior of the Nations, Come/O Come, O Come, Emmanuel; O Come, O Come, Emmanuel. 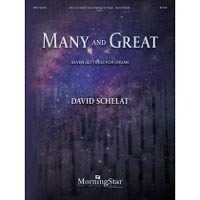 Contents: Elegy; Prelude on Deo Gracias; Improvisation on Grosser Gott; Meditation on Finlandia; Madrigal; Trio on McAfee; Melody; Meditation on Peace Like a River. 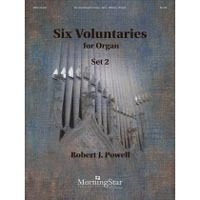 Contents: Trumpet Voluntary in Bb; Postlude on Duke Street; Postlude on Foundation; Trumpet Voluntary in C; Postlude on Kirken; Trumpet Voluntary in C; Postlude on Madrid; Postlude on Truro. Works by Antonio Correa Braga, Diego da Conceicao, J.S. 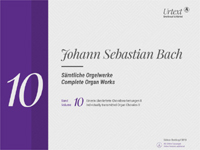 Bach, Robert Schumann, Karl Hoyer, Arnold Mendelssohn, Ernst Pepping, Helmut Degen, Hans Friedrich Mendelssohn, Louis James Alfred Lefebure-Wely, Pietro Yon, James H. Rogers and Horatio Parker. 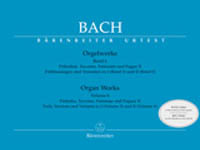 Posthumous Works. 42 Pieces without Pedal. 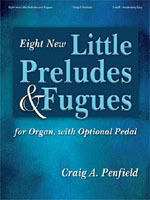 Preludes, Toccatas, Fantasias, Preludes & Fugues II. 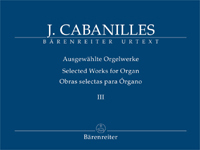 Joan Cabanilles was cathedral organist in Valencia and the towering figure in Spanish organ music of the late 17th century. His brilliant and diverse musical language, rooted in the traditional sounds of Spain, has not managed to reach a large audience outside the Iberian peninsula, although he is often called "a musician of European stature". 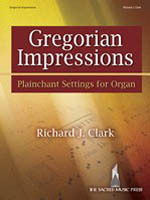 Clark, Richard J. NEW ITEM! 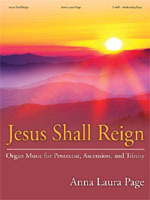 Tunes include: Pange Lingua; Adoro te Devote; Jesu Dulcis Memoria; Ubi Caritas; O Filii et Filiae; Veni, Creator Spiritus; Ave Maria. 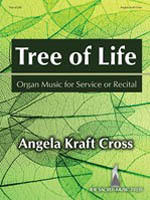 Cross, Angela Kraft NEW ITEM! 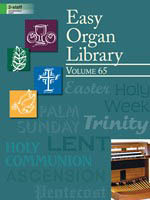 Contents: Grand Lothbury Voluntary; Tree of Life; Les Bergers (Pastoral); All Hallows Voluntary; Kyrie Eleison. Contents: Elegy; Intrada on Gott sei Dank; Introduction & Toccata on Hymn to Joy; Prelude on Munich; Postlude in D; Prelude on Southwell; Psalm Prelude 1; Psalm Prelude 2; Psalm Prelude 3; Reflection on Bunessan; We Are of a Tribe; Arabesque. 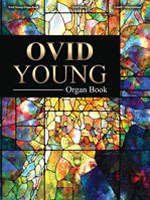 Contents: Preghuera pastorale; Folk Prelude on Azmon; Aria quasi una ciaccona; Gothic Processional; Rondino on I Love to Tell the Story; Sarabande (in modum benedictionem); St. Michael Anthiphonies; O Come: Three Hymn Fantasies - 1.Come, Thou Fount of Every Blessing, 2.O Come, O Come, Emmanuel, 3.Come, Creator Spirit. 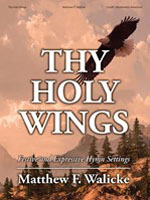 Titles include: Jerusalem the Golden; Jesus, Savior, Pilot Me; Sometimes i Feel Like a Motherless Child. Tunes include: Nun danket all Gott; Holy Manna; Lacquiparle; Llanfair; Lobe den Herren; O dass ich tausend Zungen haette; Slane. 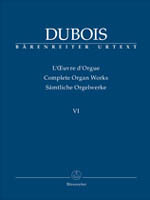 Contents: Pastorale; Allegretto; Aria; Fugue; Scherzo; Finale. 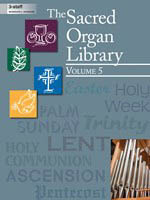 Festive Preludes, Offertories & Postludes for Ascension, Pentecost and Trinity Sundays. Contents: Eternal Father, Strong to Save; Faith of Our Fathers; Go of Our Fathers; Mine Eyes Have Seen the Glory. 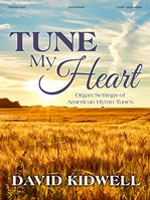 Contents: A Cheerful Trumpet; Come, Holy Traveler; A Joyful Celebration; For Me to Live Is Jesus; Joyful Jig; Rise Up and Serve the Lord; A Joyful Trumpet; All Things Bright and Beautiful; Trumpet Voluntary in G; Sweet Hour of Prayer; Spanish Trumpet Joy. 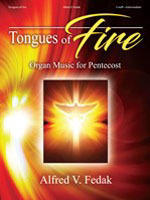 Contents: Tongues of Fire (Pentecost Dance); Come Down, O Love Divine; Veni Sancte Spiritus; Holy Spirit, Truth Divine; Breathe on Me, Breath of God; Spirit Divine, Attend Our Prayers. 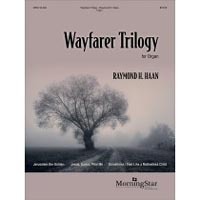 Contents: Intrada; Chorale and Variation; A Quiet Improvisation; Pastorale; Toccata Brevis; Festival Flourishes; Elegy in D; Elevation; Two Joyous Fanfares. Contents: Amazing Grace; Brethren, We Have Met to Worhsip; Come, Thou Fount of Every Blessing; Come, Thou Long Expected Jesus; Come, All Christians, Be Committed; What Wondrous Love Is This; Shall We Gather at the River? ; It Is Well with My Soul; ForgiveOur Sins As We Forgive; How Firm a Foundation. 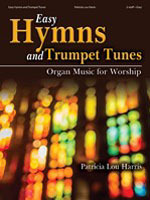 Contents: What Wondrous love Is This; Prelude on Holy God, We Praise Thy Name; Minuet on Come, Thou Fount of Every Blessing; Toccata on Ebenezer; Sinfonia on Thy Holy Wings; Gothic Minuet on Kingsfold; Fantasy on The Lone, Wild Bird. 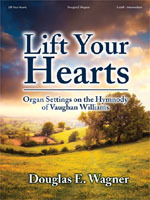 Organ Setting on the Hymnody of Vaughan Williams. 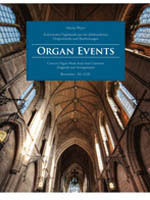 Contents: Prelude on Kingsfold; Toccata on Hyfrydol; Reflection on Bryn Calfaria; Trumpet TUne on Salve festa dies; Siciliana on The Call; Fanfare and Processional on Sine Nomine; Meditation on Randolph; Recessional on Deo gracias; Chorale Prelude on Down Ampney. 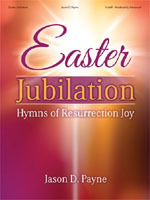 Contents: Crown Him with Many Crowns; I Know That My Redeemer Lives; Postlude on Maccabeus; Trumpet Tune on The Day of Resurrection; Christ Is Alive; Christ the Lord is Risen Today. 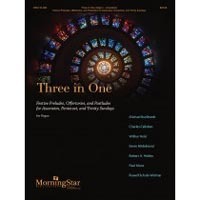 Contents: All Creatures of Our God and King; All Hail the Power of Jesus' Name; Come, Join the Dance of the Trinity; Come, Thou Fount of Every Blessing; Jesus Shall Reign; O Holy Spirit, Root of Life; Holy, Holy, Holy.